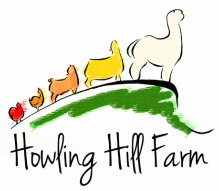 The Howling Hill breeding program strives to produce Huacaya alpacas of extremely high quality. - Extensive fiber coverage of the legs, with a full topknot. We select for fine, dense, uniform fiber with a long staple, good organization, and a mid- to high-frequency crimp structure. We aim for dramatic brightness, with the aim of producing fleeces with the softest, most exquisitely silky handle. 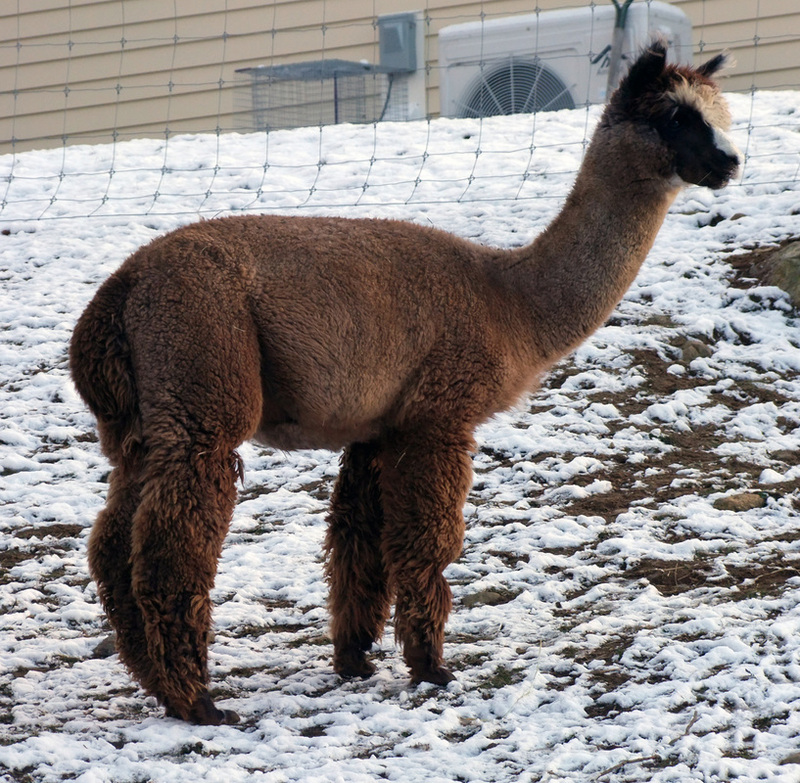 Most important of all, all of our alpacas possess fiber is uniform, with little to no guard hair throughout the blanket. 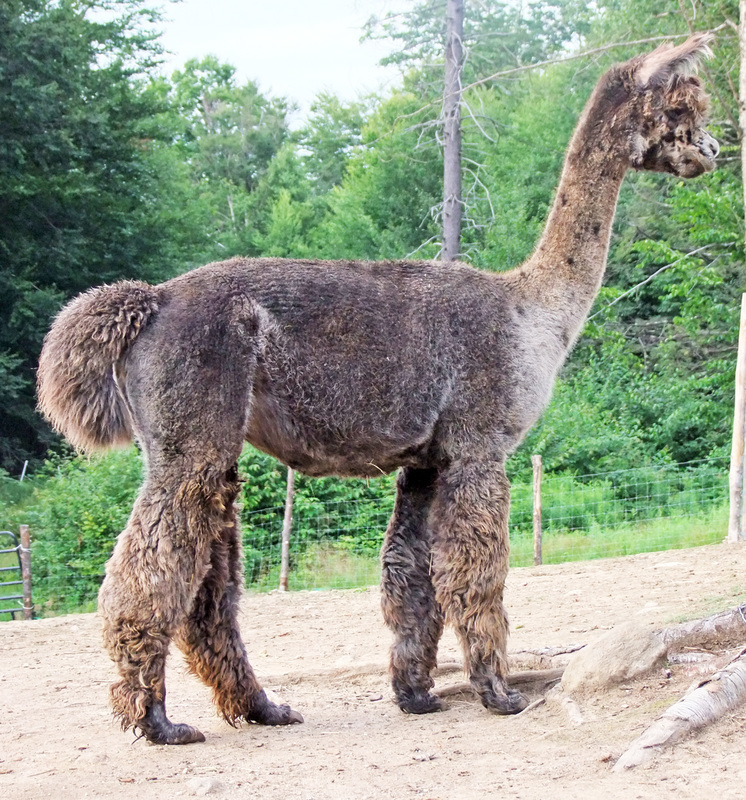 We make use of histogram data, and have selected for alpacas that, in the vast majority of cases, have a Grade 1 (<20 micron) fleece on their first and second shearings, with a standard deviation of <4.5 and a 97-100% comfort factor (little to no fibers >30 microns). 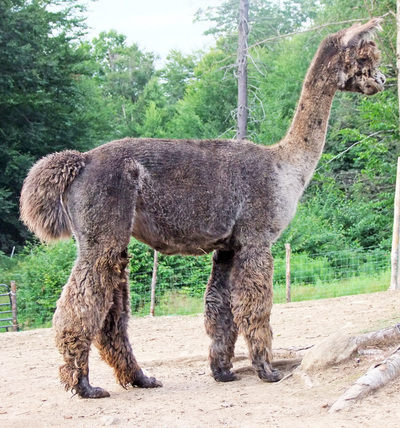 Many of our alpacas are far superior to this cutoff (<18 microns and SD <4.0), and many have maintained a Grade 1 - 2 fleece well into adulthood. Like many breeders, we have a long-term goal of selecting for alpacas who hold onto that fine fleece as they age. Last but certainly not least, all of our alpacas have pleasing temperaments, and most are respectfully friendly and outgoing towards humans. 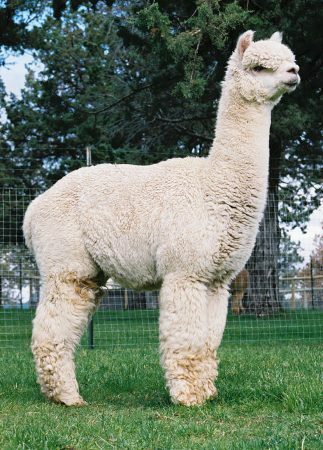 As if all this wasn't enough, our ultimate goal is to produce these elite alpacas in unique and unusual colors. Our particular focus is grey, in all its forms -- harlequin, tuxedo (AKA classic), and roan -- as well as patterns -- appaloosa and beyond. It is our vision to become among the premier seed-stock providers for elite-quality, attractive, ultra-fine Huacaya alpacas of the rarest colors. We have developed a Breed Standard to better clarify our breeding goals. 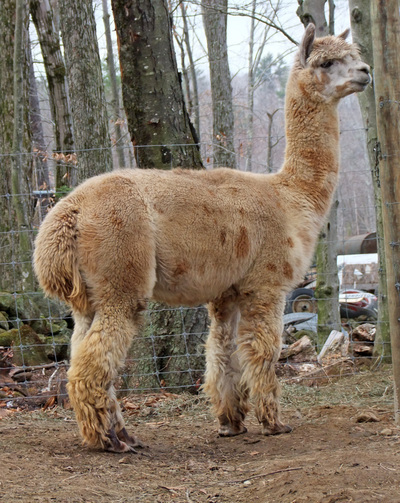 The standard describes our ideal alpaca, which we have elected to name the Cheshire Alpaca. 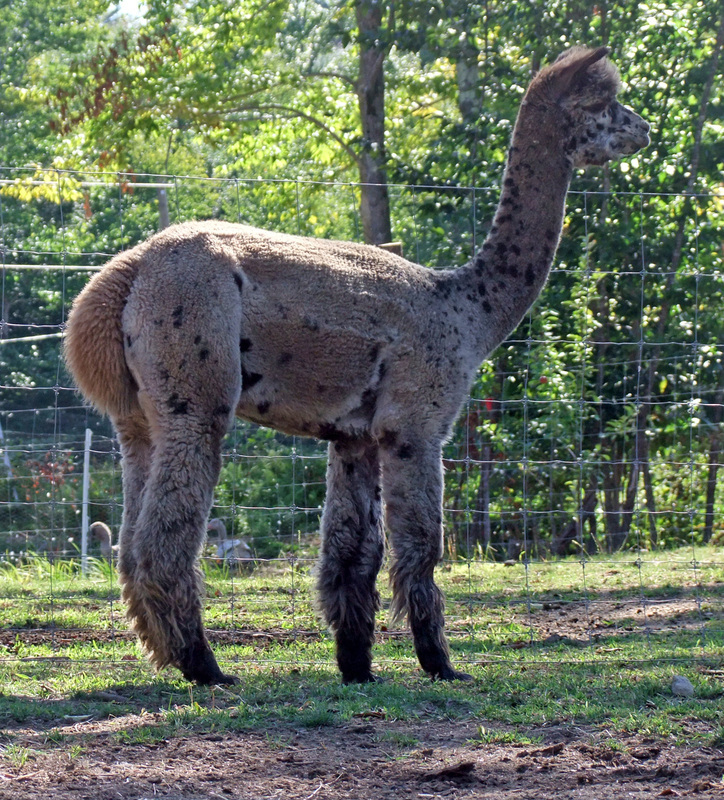 Alpaca breeders are as concerned with bloodlines as performance and racehorse breeders -- and rightfully so. The knowledge of your animals' ancestors, their strengths and weaknesses, as well as how to use them to achieve your goals, is a critical component of successful genetic advancement. No animal is perfect -- period. It is the artful and scientific combination of complimentary bloodlines that propels a breed forward to the next level. Many alpaca breeding programs like to "name drop," but this is a goofy and meaningless convention, because the ancestors of merit are often too far back in the pedigree to affect much genetic influence. More importantly, the presence of a key player in a pedigree is only meaningful if the offspring displays the best traits of that bloodline! 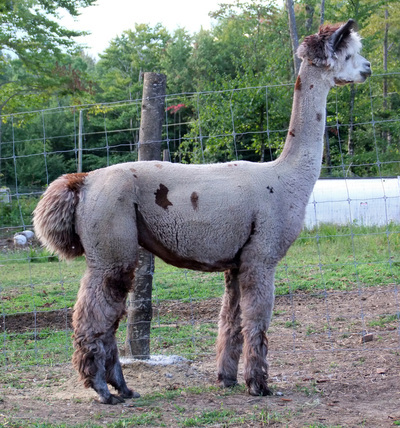 Additionally, some highly celebrated alpaca bloodlines exhibit traits that are highly undesirable to our program. "Famous and popular" does not necessarily equate with "good." We have made use of a number of primary foundation lines in the Howling Hill breeding program, chosen for specific traits. All of the sires listed below are the sires or grandsires to our foundation -- not floating around in the back of the pedigree, but up close and exacting direct influence on the type, conformation, and fleece of our alpacas. As we move forward with our program, our goal is to "fix" the positive traits that these foundation sires are known for into the bloodlines of our alpacas by using carefully controlled line-breeding and selective outcrossing. Exacting what may be the single greatest influences on our herd's genetic makeup is Accoyo Peruvian Legacy. His blood is represented especially heavily through the exceptional get and grand-get of one of his most exceptional and prepotent sons, AML Legacy's El Duro. 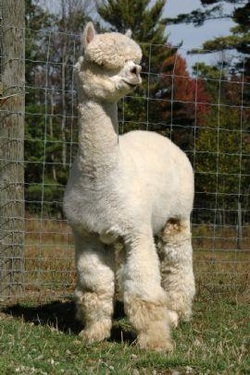 However, Legacy also features in the ancestry of a very large number of our other alpacas -- often more than once. Snowmass Quechua has also become one of the major impact sires in our herd, and his lineage was explicitly sought out for its incredible prepotency for lasting fineness, density, and uniformity of fiber. His lineage is heavily represented in our herd through the get and grand-get of three of his best sons: Snowmass Matrix, Snowmass Elite Legend, and Quechua's Verticase. Accoyo Peruvian Caligula also plays a solid role in our herd's genetic makeup, primarily through one of his best sons, Caligula's Casanova, who is the sire and grandsire to many of our most exceptional animals; further back in the lineage of many of our best animals is PCA Accoyo El Nino, widely regarded as Caligula's greatest son of all. Exacting the most influence on the grey and black portion of our herd are four grey impact sires: Royal Inca Legend (through the get and grandget of his three best sons, Silver Legend of KPR, Legend's Challenger of KPR, and Legend's Peruvian Revelation), Crescent Moon's Rayo Del Sol, Aussie .38 Special, and the great Snowmass Peruvian Casanova. 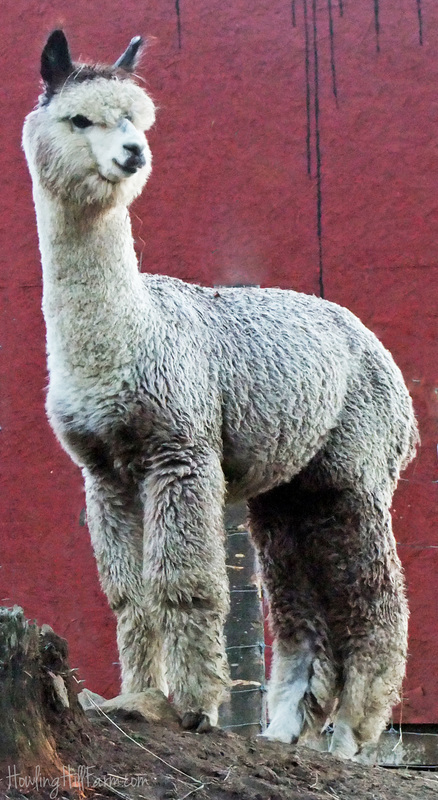 Further back in the lineage of many of our alpacas is one of the greatest grey herdsires ever imported: Peruvian Platinum, a grey whose offspring rivaled those of the greatest whites. We also cannot discount the influence of Peruvian Allianza imports Hemingway and Bueno, for they are found in the pedigrees -- often more than once -- of many of our best foundation animals. These are our sire lines; perhaps the most important of all, however, are the oft-unsung heroes of the pedigree: the dams. Horse breeders know that the dam typically contributes more than 50% of the offspring's phenotype, likely due to maternal influences on the fetus and cria (genomic imprinting) and the expression of mitochondrial DNA, which is only passed down from dam to offspring. Savvy alpaca breeders realize the same thing. Our foundation stock was chosen not only based on the quality of their sire lines, but by the quality and strength of their dam lines -- in type, fiber, and, most critically, in maternal skills such as mothering ability and milk production. Some, such as HHF Segundo's Sonatina, Bentwood Alpacas Peruvian Calliope, and Whispering Winds Jessica, are champions themselves. Others, such as Snowmass XXXtremely Gorgeous, CM Silver Threads, and Nic Nac's Miss Patty Wac may not have their own banners, but each has been among the most exceptional producers in their herds. While conformation, type, and fleece are the essence of our breeding program, unique color is its end goal. Our primary focus is on grey. 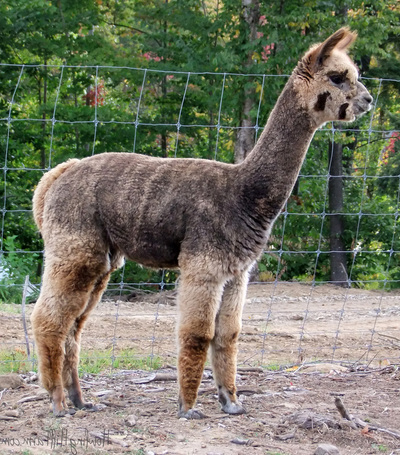 Whereas most grey alpaca breeders work exclusively with the tuxedo grey gene, occasionally dabbling in the roaning gene, the Howling Hill grey program also makes use of a third grey gene: harlequin. Well known to Suri breeders, the harlequin gene has largely been ignored by breeders of grey Huacaya alpacas. 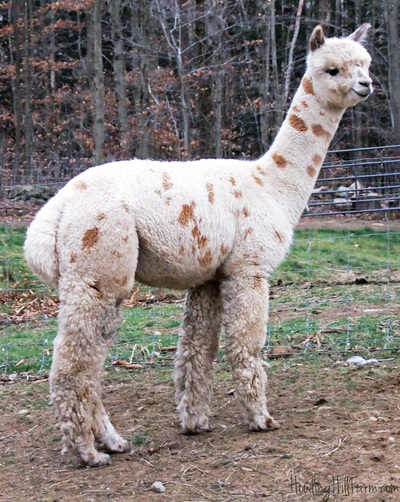 It is a form of expression of the true appaloosa gene, and thus, it is a favorite among appaloosa alpaca breeders. However, it is my belief that the harlequin appaloosa gene may be the key to producing the most uniform grey Huacaya alpaca fleece. In addition to greys, the consistent production of elite leopard appaloosa Huacayas is another of our goals. Even the most elite-quality animal will fail to perform if not properly cared for. We believe in providing the nutrition and environment necessary for each animal to perform to its full potential. 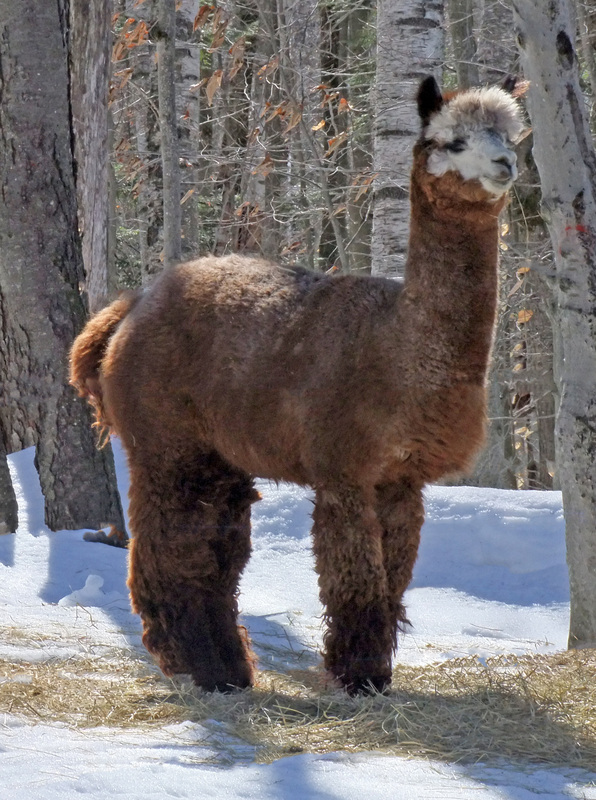 Since solid build and robust muscling are among the foremost goals for our alpaca breeding program, it is only logical to provide our stock with the nutrients they need to grow and thrive. Further, as fineness and uniformity -- held over time -- are our primary goals as pertains to fiber, we see no benefit whatsoever in the practice of underfeeding in order to "artificially" create fineness through poor nutrition (never mind the welfare implications as such). We feed our alpacas well, so our fineness is "real" -- what you see is what you get. 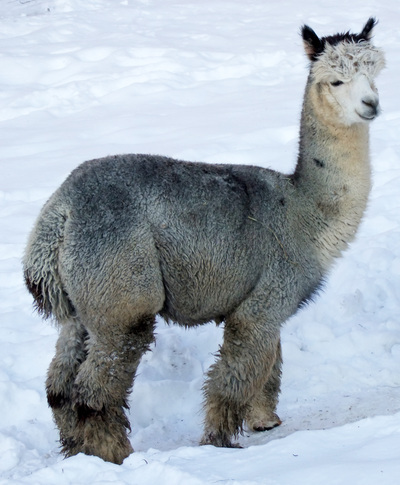 Furthermore, our experience has been that alpacas are among the hardiest of livestock species -- this is one of their major benefits to producers. Although we provide ample shelter for all of our animals, we allow and encourage them to spend the majority of their time outside -- where they are meant to be. We spend ample time with our alpacas daily. This enables us to be on the lookout for any changes in behavior -- often the first and only signal of an impending illness -- as well as to accustom our animals to human contact. Our animals know and trust us, and thus, we are able to provide for them to the fullest.